Schoolchildren in Potton will benefit from a cash boost to help those who are struggling with their emotions. The Potton Federation has received a donation of £250 from national housebuilder CALA Homes, towards creating a relaxing space for children who are struggling with their feelings and emotions. The federation is comprised of Potton Lower School and Potton Middle School and the funding has contributed towards creating a relaxing space for young people at the middle school. 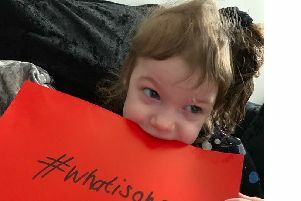 The idea came when one pupil, Cerys Durkin, who was born with heart defects and has undergone a number of surgeries, found herself beginning to suffer with anxiety and struggled to deal with her emotions. The concept was created when Cerys and her friends, who had already formed a support group for each other, wanted a place to relax and talk outside of lessons, and has since been expanded to welcome in any pupil at the school who would like to use the room. The relaxation room will continue to fulfil a need for the school to have a dedicated safe space where pupils could meet on a weekly basis in a suitable, calm environment. A report carried out by Barnardo’s indicated that almost one in five children suffer from a mental health issue such as anxiety, the most common psychological disorder in school-aged children. The CALA Community Bursary was launched last year and invited organisations, charities and groups in Bedfordshire to apply to help fund projects which make an important difference in the community. CALA Homes is an award-winning housebuilder which has its Clover Gate development on Sandy Road in Potton. Christine Dunne, Special Educational Needs and Disability Coordinator at Potton Federation, said: “Anxiety in schoolchildren is becoming an increasing issue of concern. The symptoms and behaviours associated with it can vary from separation anxiety, extreme self-consciousness and intense worry.